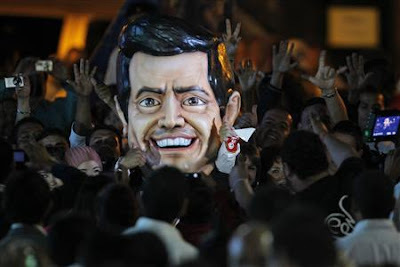 A figure of PRI candidate Enrique Pena Nieto, at rally kicking off his presidential campaign in Guadalajara, March 30, 2012. Photo by Edgard Garrido / Reuters. 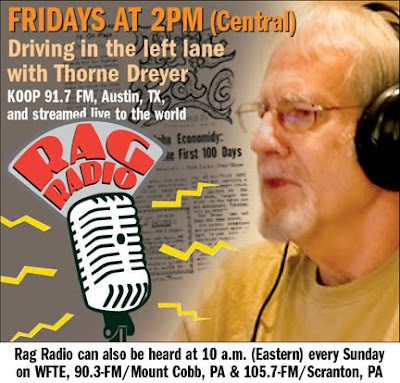 Philip Russell and David Hamilton will discuss the upcoming presidential elections in Mexico and France on Rag Radio with Thorne Dreyer on KOOP 91.7-FM in Austin on Friday, April 20, 2012, from 2-3 p.m. (CDT). The show will be streamed live here. Peña Nieto stresses that his positive record as governor of the State of Mexico -- Mexico’s most populous state -- qualifies him to be president. Such a view is far from unanimous. 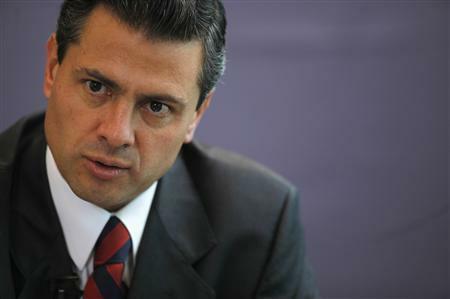 Veteran human rights activist Sergio Aguayo commented that Peña Nieto's record “oscillated between mediocrity and catastrophe.” In any case, Peña Nieto’s hand-picked successor won the gubernatorial race handily in 2011, bolstering the image of his governorship. Peña Nieto emphasizes that it’s time to oust the incumbent National Action Party (PAN), since during the 12 years its two presidents have been in office both violence and the number of poor people have increased. He also stresses that as a result of what he calls a “dysfunctional state," economic growth during the last decade has been slower than it has been during any other decade since the Depression. Observers have attached the term Teflon candidate to Peña Nieto, since so far none of his gaffes have significantly lowered his approval rating. The most conspicuous of these gaffes was his not being able to -- at a book fair yet! -- state which three books have most influenced him. His strategy is to avoid unscripted encounters and to refrain from making bold proposals which might cost him some of his heterogeneous base. Peña Nieto received the nomination of his party by default, after it became obvious that he was far more popular than any other potential candidate. The PRI, which emerged from among the victorious generals of the Mexican Revolution of 1910-1917, is both Peña Nieto's greatest asset and his greatest liability. Even though many are wary of a PRI return to Los Pinos, the presidential residence, the party offers by far the best get-out-the-vote machine in Mexico -- the result of decades of political control and the 20 governorships currently in PRI hands. Such a machine could prove to be crucial in an election where grass-roots enthusiasm has been in short supply. 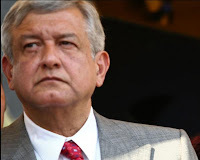 For his 2012 campaign AMLO has attempted to moderate his image, declaring on the opening day of his campaign that “honesty, justice and love -- lots of love," would characterize his administration. Rather than referring to Mexico’s businessmen as a “mafia,” as he did in the past, he now courts them and refers to them as the motor of the economy. His goal of fighting monopolies is more straightforward, but risky in a campaign. Targeting monopolies would involve the taking on the two media giants controlling television -- the very medium which will filter the information the vast majority of Mexicans rely on to make their candidate selection. While AMLO has the unified left behind him, his being the nominee of the PRD may well prove to be problematic. Coming up with policy suggestions has been difficult for the PRD -- a dilemma shared by the left throughout post-Cold War Latin America. During the first week of the official campaign social media served to highlight a series of minor campaign snafus by the Vázquez Mota campaign -- messages that appeared to be managed by the well-oiled PRI media machine. Social media could shape opinion, get out the vote, or simply get lost in the millions of TV spots Mexicans will be bombarded with before July 1. Observers have also commented on the similarity of the candidates’ proposals. Zepeda Patterson declared the security proposals of the three candidates “are vague, ill defined, and virtually interchangeable.” All have proposed higher economic growth and fighting corruption -- standard campaign fare for decades.